You searched for which does not fit your . We've redirected you to 104-807, which has the proper fitment. The best motorcycle helmet on the market for the price and I love it and so will you. Comfortable and nice design. For over 20 years I've been wearing a, "novelty", half helmet. I was looking for a DOT approved one that doesn't look huge. This one fits well and although it is bigger than my old one it doesn't look stupid. My reason for giving it a 3 is the sun shield. It is too short. It doesn't come down to my nose or even cover the bottom of my glasses. The visor is useless. 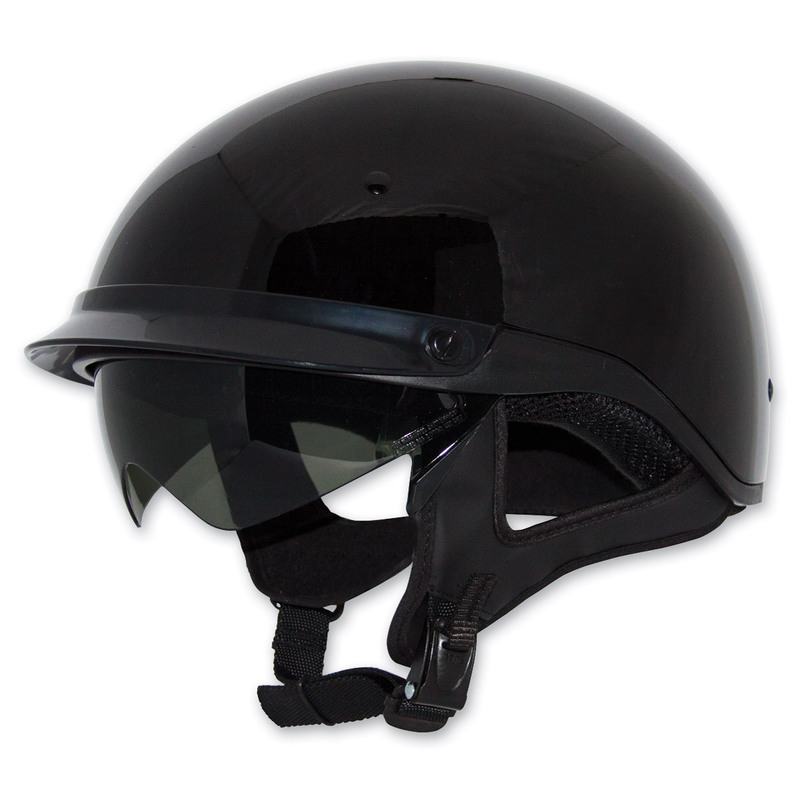 I can get a DOT approved helmet that is even smaller without a drop down visor.